Ahead of this weekend’s Monaco Grand Prix, Formula 1 driver Nico Rosberg offered fans an insight into his pre-race training with a Q&A session filmed on a moving yacht. 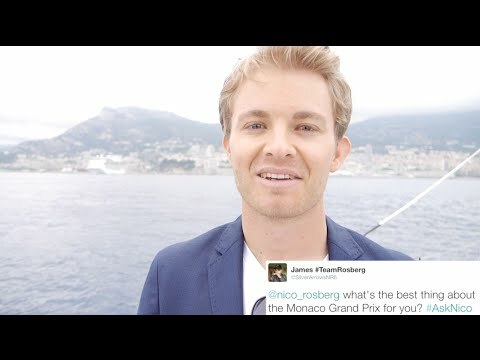 Created in collaboration with jewellery brand Thomas Sabo, for whom Rosberg is a campaign star, questions were provided via Rosberg’s Twitter followers using the hashtag #askNico. Focusing solely on the upcoming race, they included queries about the tactics he would use to win the Monaco grand prix and what made the race so special to him. As many of his fans clearly know, Rosberg grew up in Monaco, commenting, “The race track is so exciting and living at home and sleeping at home is great. The atmosphere is brilliant, it’s just legendary, this race.” Rosberg also demonstrated his suitability for the international F1 world by answering questions in fluent English, German and Spanish. For much of the film, Rosberg is seen standing near the helm of what appears to be a large sailing yacht while the Monaco coastline drifts past in the background. 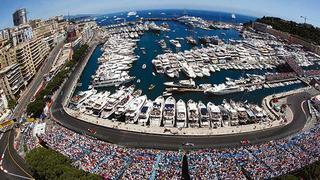 However, the last portion of the film sees the driver in a tender heading back into Monaco harbour, offering sights of some impressive superyachts berthed and ready for the weekend’s big race.